On May 4th, 2016, Club W — which is a well-known wine club startup and partner of Winederlusting.com — announced that after successfully reeling in 17.5 million in Series B investor funding that they will rebrand the company as ‘Winc.’ That’s a nice sized chunk of capital and a significant achievement on behalf of Club W / Winc as Series B is often the most difficult round of financing to secure. The move was unexpected for me personally, but in the grand scheme of things it only makes sense for the company to embrace a more all-encompassing brand name as they attempt to further corner the direct-to-consumer wine market. Winc’s aim is to branch out beyond simply being an online wine club. The updated brand name will certainly allow for entrance into more offline distribution channels, especially after recently opening a second distribution facility which will allow for 2 day shipping to any location on the East Coast. Club W has only been around since 2012, but less than 4 years after its inception the company has grown by leaps and bounds, with the majority of their member base being comprised of women. Club W had mentioned to me previously that one of their goals for 2016 was to increase their bandwidth in terms of bringing on bigger chunks of different demographics, including more men and millennials. What makes Winc special is that they are much more than just a wine club. The company actually sources wine grapes from around the world and produces them in their own modern, high-tech facility near Los Angeles, California. This has enabled Winc to craft wines which in some cases can’t be found anywhere else in addition to helping them regulate quality and cost. At the same time, it allows for a more “perfect pairing,” if you will, when it comes to providing main-stream retailers or eateries with styles of wine that may be more tailored to the customer bases or food offerings. Aside from being a full-fledged direct-to-consumer wine company, Winc also prides themselves on brand messaging that removes the ‘exclusivity’ that has run rampant throughout the wine world for decades. They cater towards the younger generation and aim to make wine accessible and affordable. Their newsletters are also unique and loaded with great information on wine that’s easy to digest. Just recently, Club W did a feature and interview with Sarah Michelle Gellar about their new partnership which pairs Sarah’s new food-experience company and Club W’s Wonderful Wine Co. Red Blend. Their customer acquisition model is also unique. ClubW.com has always functioned on a flexible subscription based model for ordering and having wine delivered to your door. Customers are able to signup for the wine club (you can click this coupon code link for $ 20 off your first order) after completing a 30 second questionnaire geared towards determining your taste in wine. After the completion of the questionnaire, you’ll be presented with a number of options ranked in the order of which the algorithm determined your preferred taste. At this point, you can read through your options and select only the wines you feel best suit your personal preferences. The best part is you can order as few or as many wines as you want and you don’t need to commit to recurring orders. Order wine when you want it. 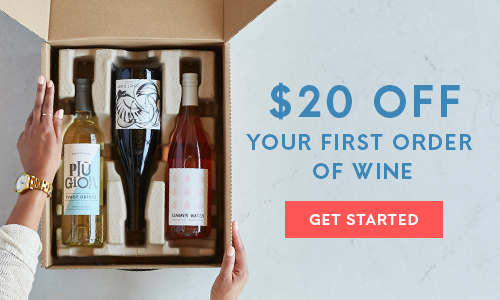 Joining Winc is free and you can skip any month in your subscription and or cancel whenever you feel like it. One of the basic subscription models offers wine delivered to your residence once a month, but frequency can be set to your preference. Better still, if you order 4 bottles or more you don’t have to pay for shipping. Wines start at as little as $13 per bottle, thanks to Winc’s ability to cutout wholesalers and brokers typically stuck in the middle of the wine sales cycle. If you don’t like one of Winc’s wines, they’ll refund or give you a credit towards another bottle. “In the last year we’ve released over 150 distinctive small lot wines from around the world. Through direct relationships with vineyards and winemakers we’re able to deliver a curated and personalized experience with the best price to quality ratio. This is undoubtedly the most progressive wine program in the industry,” says Advanced Sommelier, Acclaimed Winemaker and Chief Wine Officer at Club W, Brian Smith. Really great and accurate review!